Why are Some Croissants Straight, and Others Curved? And so, at my husband’s request, today is about croissants. And yes, there are laws about this in France. Actual laws. Can you see why I love that country so much? They take their baked goods seriously, damn it. The law, as I mention above, is pretty simple – if you have a straight croissant (which is kind of an oxymoron, since the word croissant actually means “crescent”) in France, it will be an all-butter croissant. 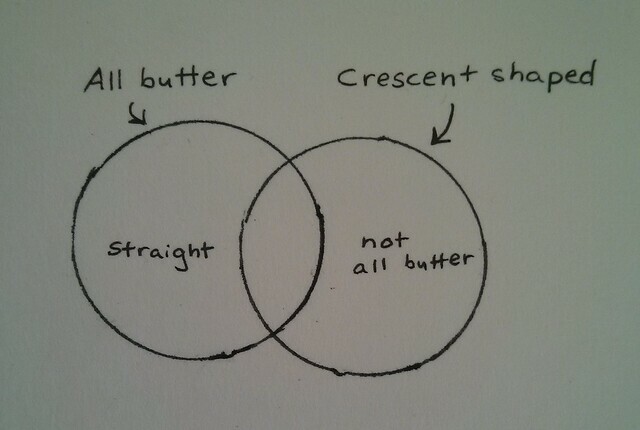 Croissants that use any other type of fat (even if it’s something like 95% butter and 5% margarine) cannot be straight (and will usually be in the iconic crescent shape). 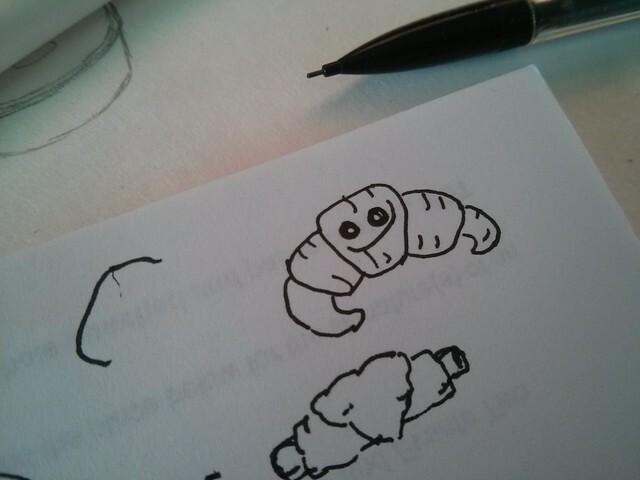 Fact: It is very hard to draw a straight croissant that doesn’t look like a sweet potato. Also, tracing circles is hard, y’all. You don’t put butter on an-all butter croissant. Jam is totally acceptable, but butter is overkill. 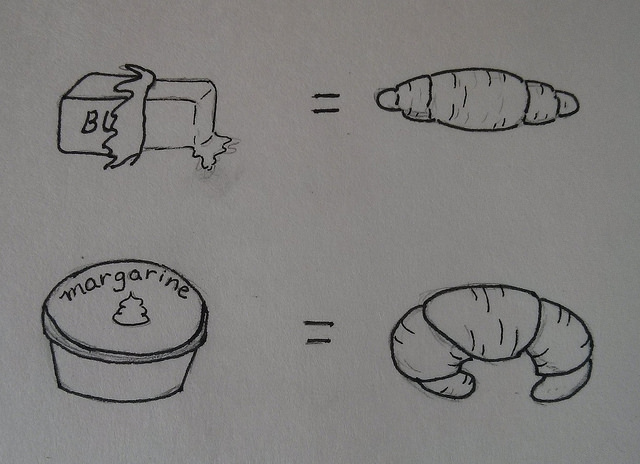 You can put butter on a not-all-butter croissant, but you should not cut it in half and smear butter on the halves. Instead you butter the end, take a bite, then butter it again and take another bite. Butter, bite. Butter, bite. And there you have it. The most important piece of information to have ever appeared on my blog. Bon appetit!